MFMarker (MyFirstMarker) is entirely made out of chalk and shaped like a big fat marker, and therefore safely introduces little children to the art of vandalism. 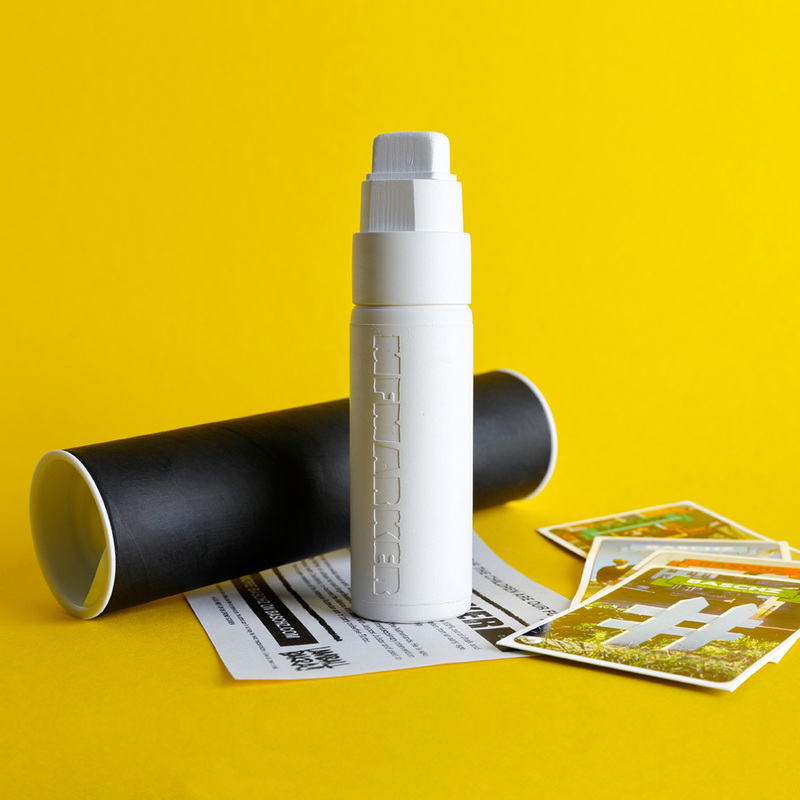 The original all white MFMarker comes in a blackboard tube with a mimeographed info leaflet and stickers. 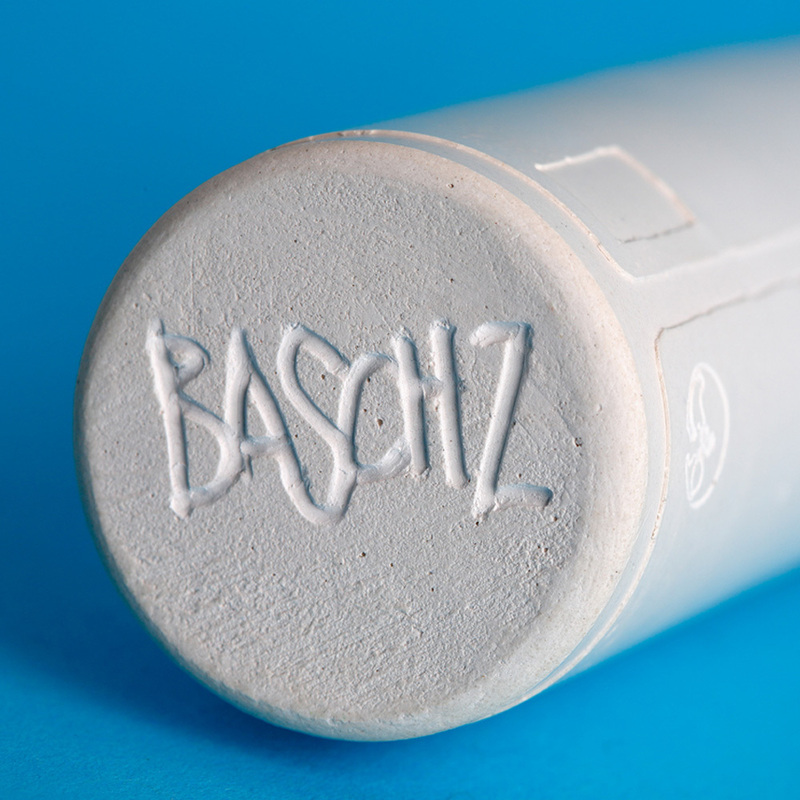 All markers are handmade in and signed by Baschz.